Place coffee, ghee, MCT oil, cinnamon, turmeric, maca powder and boiling water into a small blender. Blend on high speed for about 10 seconds until coffee is creamy and smooth. Remove from blender and serve immediately. Make sure your blender is suitable for hot liquids. If not, then blend all ingredients above with a small amount of warm water to emulsify, then top up with boiling water to serve. 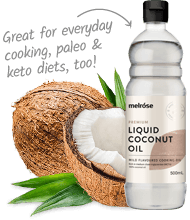 If you are new to using MCT oil, only add one teaspoon into your MCT coffee. 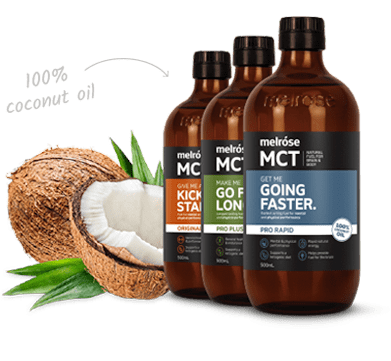 If you have been using MCT oil for sometime, you can increase your intake to one tablespoon per day by gradually increasing a teaspoon at a time over a period of a few weeks.